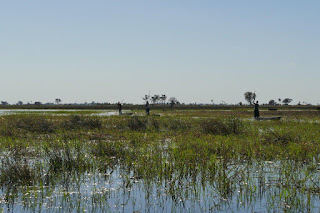 The Okavango Delta in Botswana, in the middle of Southern Africa, is a unique pulsing wetland. There are two distinct areas – the permanent swamp, which is inundated with water all year round, and the seasonal swamp which is flooded annually and dries gradually with the onset of summer. Almost 95% of the water in the Delta originates from the summer rainfall (January – February) catchment areas in Angola, about 1,000km north-west of Botswana. From Angola, the water flows south mainly with the Cubango river from the west, and the Cuito river from the east, across the border into Namibia. It comes together as the Okavango river in the Zambezi Region (formerly known as the Caprivi strip) before it reaches Botswana at the Mohembo border post. The average size of the Okavango river as it enters Botswana is 200 metres wide and four metres deep. The length of the Okavango river from its source in the Angola highlands to the mouth at the outer margin of the Delta in Botswana is 1,100 kilometres. The first stretch of approximately 75 kilometers of the river in Botswana is called the Panhandle due to its shape. 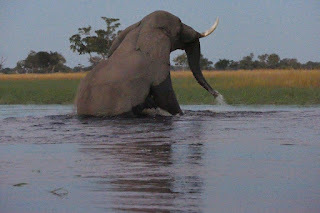 The Okavango river is the only perennial river in Africa that flows eastward without reaching the ocean﻿. It empties its water into the thirsty Kalahari sands forming a great inland fan of channels and swampland - the Okavango Delta, an oasis in the deep expanse of the Kalahari Desert. When water from the Panhandle enters the Delta, it spreads over the 250 km by 150 km area during the four months of March to June, creating an alluvial fan (fan-shaped deposits of water-transported material). The flood peaks between June and August, during Botswana's dry winter months, when the Delta swells to three times its size, creating stunning mosaics of channels, lagoons, ox-bow lakes, flooded grasslands and thousands upon thousands of islands of an endless variety of shapes and sizes. This unique piece of paradise then attracts animals from kilometres around and creates one of Africa's greatest concentrations of wildlife. Chief’s Island, the largest island in the Delta, was formed by a seismic fault line which uplifted an area over 70 km long and 15 km wide. Historically it was reserved as an exclusive hunting area for the local community’s chief. It now provides the core area for much of the resident wildlife when the waters rise. The watercourses are constantly changing due to annual flooding as well as a combination of sediment transport, seismic activity, the construction of termite mounds, the continual opening up of new channels by feeding hippopotami and the closing of others by new vegetation growth. By the time the water reaches the town of Maun at the Delta’s southern fringes, its volume is a fraction of what it was. As little as two to three percent of the water reaches the Thamalakane River in Maun, over 95 percent lost to plant transpiration and evaporation. The remainder may continue east to the Boteti River, to fill Lake Xau or the Makgadikgadi Pans, or drain west to Lake River to fill Lake Ngami. 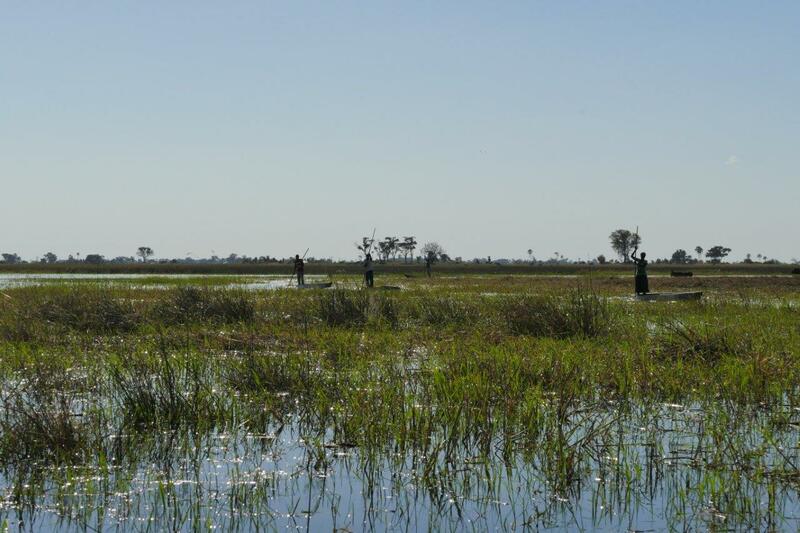 The Okavango Delta can vary in size from 15,000 square kilometres during drier periods to a staggering 22,000 square kilometres during wetter periods. Its dominant plant species are reeds, papyrus, mokolwane palms, wild date palms, acacia, sycamore fig, sausage trees, raintrees and lagoons covered with floating waterlillies. The Okavango Delta was declared a wetland of international importance and received its Ramsar status on 12 Sep 1996. The Ramsar boundaries encompasses the Okavango Delta (including Moremi Game Reserve), Tsodilo Hills, the Kwando-Linyanti River system and Lake Ngami. This is an area of more than 55,000 square kilometers (or 5,5 million hectares), making it by far the biggest Ramsar wetland in Southern Africa and the 3rd largest in the world. 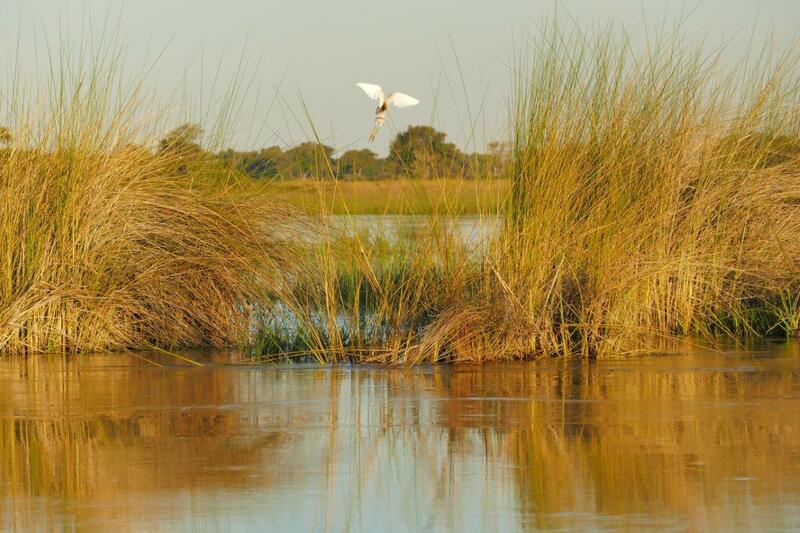 It is Botswana’s only Ramsar wetland and qualified on several of the required criteria. 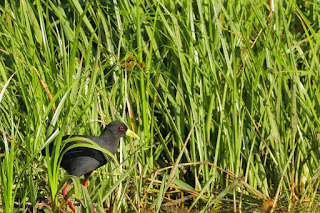 Firstly, it is a unique inland wetland providing a haven for many endangered species of flora and fauna. This includes globally threatened bird species such as the Wattled Crane, the Slaty Egret (most important breeding site), Lesser Kestrel, Corncrake and the Black-winged Pratincole. 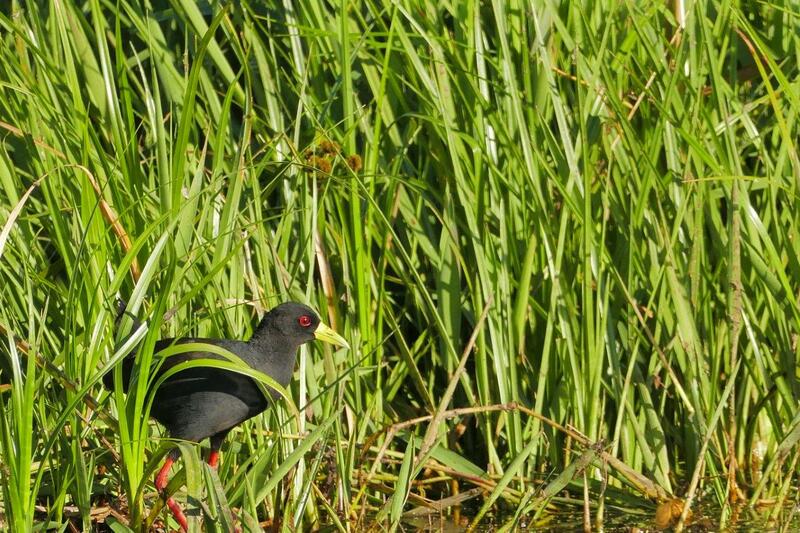 More than 500 species of birds have been identified in the Okavango Delta with much more than 20,000 water birds occuring in the Delta at any time. 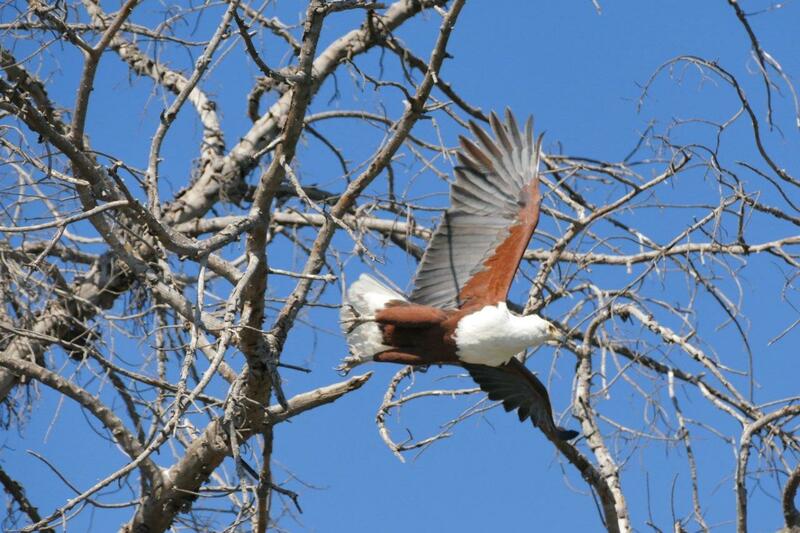 The Okavango Delta also supports more than 1% of the global population of several bird species including African Skimmer, African Pygmy-Goose, White-backed Duck, Fulvous Duck, African Spoonbill, Marabou, Saddle-billed Stork, Squacco Heron, Black Heron, Little Egret, Great White Pelican. The permanent swamps provide habitats for three species of aquatic or semi-aquatic large mammals, all of which fall under the IUCN Red List: Hippopotamus, Sitatunga and Red lechwe, the most populous large mammal in the Delta. It is also a stronghold for the Nile crocodile. Large herbivores that utilize the higher dry land masses found within the Okavango Delta and the riverfronts of the Linyanti and Kwando include the African Buffalo, Plains Zebra, African Elephant, Blue Wildebeest, Tsessebe, Southern Reedbucks, Bushbuck, Puku Antelope, Impala, Waterbuck. Elephants, Zebras and Wildebeest migrate on a seasonal basis between temporal wetlands in northern Botswana and the permanent wetland systems of the Delta, making it an important refuge during the migration cycle. One of the largest remaining populations of the African Wild Dog roams the islands in the Delta. Papyrus and reed rafts make up a large part of the Okavango's vegetation. During the flood season they float well above the sandy river bed with roots dangling free in the water. This gap between bed and roots is utilised as shelter by crocodiles. The plants of the Delta play an important role in providing cohesion for the sand. In the Delta, because of the clean waters of the Okavango, the river’s load consists almost entirely of sand. The plants capture the sand and in the process create further islands on which more plants can take root. The land within the Ramsar boundaries of the Okavango Delta is shared by the local communities (95%) and the government of Botswana (5%). Climate change in Southern Africa will result in a decrease of rainfall and increase in temperature in the longer term, leading to reduced water flows and high evaporation rates. This will potentially have the greatest impact on the Delta. The Delta area is tectonically active. Earthquakes of the same magnitude as the one that occurred in Maun during 1954 (6.4 on the Richter scale) could cause major damage to the modern building structures of the town and may also accelerate the river channels and flood distribution in the Delta. Upstream irrigation plans in Namibia and especially Angola are predicted to have a significant impact. Agricultural discharges into the river such as nitrogen, phosphorus, pesticides and herbicides is a potential source of pollution. The presence of a relatively large number of tourist camps and lodges is a potential pollution issue. To combat this, the Government of Botswana has adopted a low volume, high cost tourism policy that has limited the number of tourists visiting the Delta. 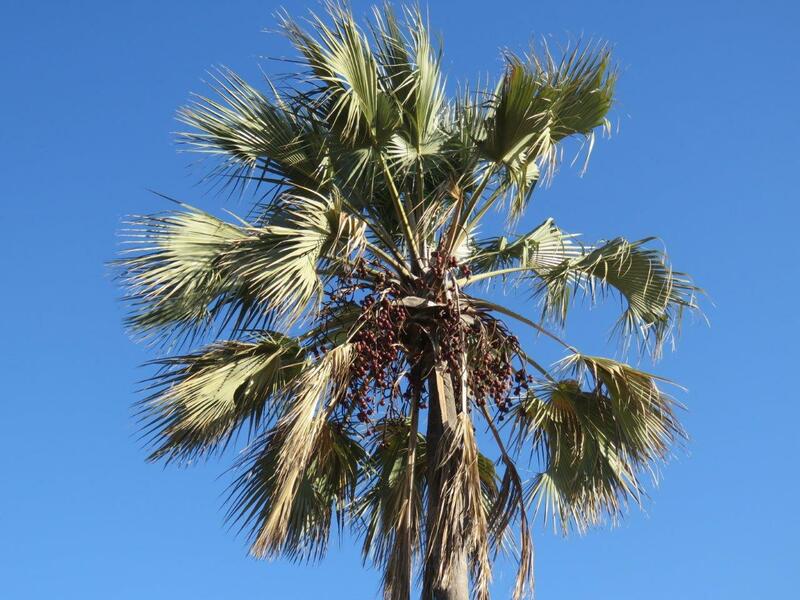 A major pollution issue is the spraying of tsetse flies. 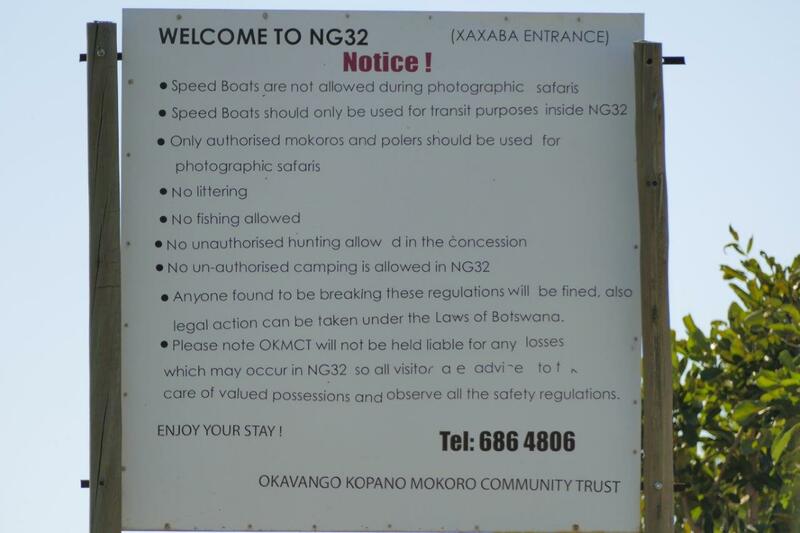 The possible negative side effects of this control measure have led to controversy among environmentalists, tourism operators, the local population and Government Institutions. 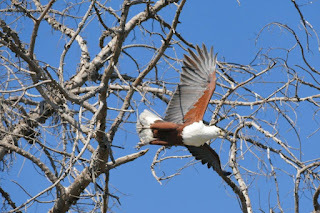 The major tourist attractions in the Delta and the dryland areas are game viewing and birding. With more than 122 species of mammals, 71 species of fish, 500 species of birds, 64 species of reptiles and 1300 species of flowering plants, the diversity and numbers are staggering. Tourists visiting the Delta can do so by staying in one of the many camps and lodges, or do a mobile boat safari into the Delta with one of the operators. 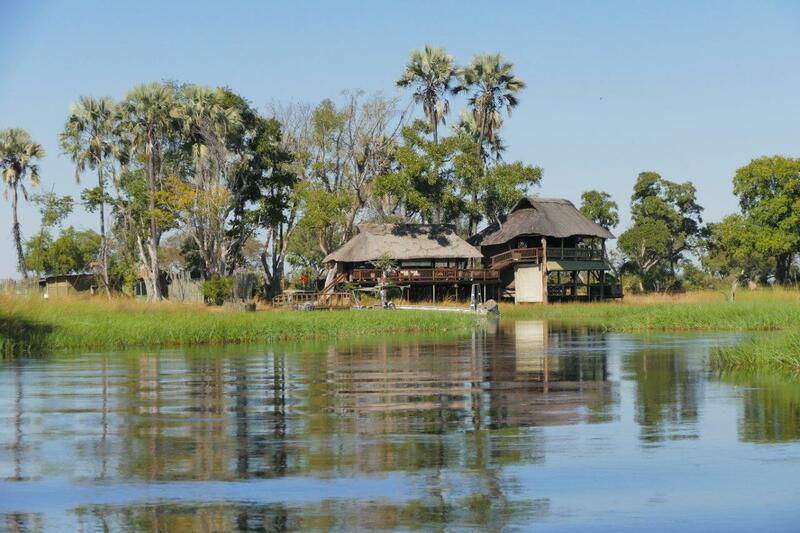 The Okavango Delta features some of Africa’s premier camps and lodges such as the exclusive, upmarket Mombo Camp on Chief’s Island. Game viewing is normally undertaken by walking, by 4-wheel drive vehicles and by boats. Lagoons, lush waterways, floodplains, fast and slow moving waters provide a haven for bird species and can best be seen from boats. Bird life is at its peak during spring and summer months (October to March). There are a number of safari camps and lodges which offer fishing as part of the tourist packages. The most popular recreational fishing species is the tiger fish which is the world’s largest fresh water fighting fish. Mekoro (or Makoro or Mokoro) is a type of canoe made from tree trunks. It is very popular as a transport method in the Delta. Most camps and lodges offer Mekoro trails with a guide. 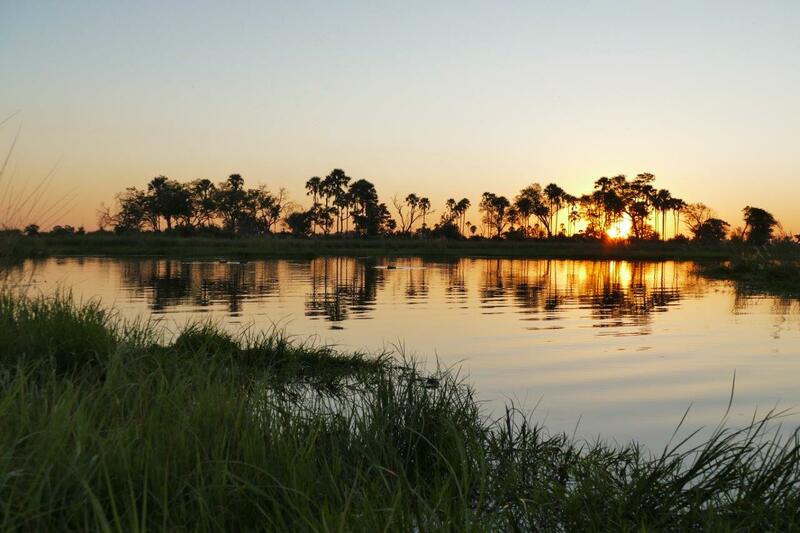 The Okavango Delta forms part of one of the world’s largest Ramsar wetlands. It also became the 1000th World Heritage site on 22 June 2014. In addition, it is considered as one of the Seven Natural Wonders of Africa which were officially declared on 11 February 2013 in Tanzania.